We had another successful festival at University of Central Florida, Orlando. 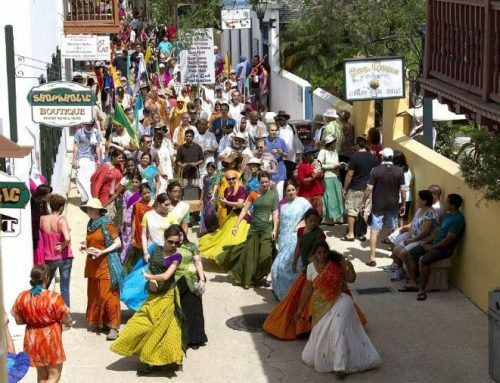 Cart procession circled around the historical campus, attended by students, faculty, and devotees. Many looked on in wonder at this unusual sight appearing upon their daily collegiate routine. The yatra culminated with a cultural program at the Pegasus Ballroom, a large auditorium events venue. 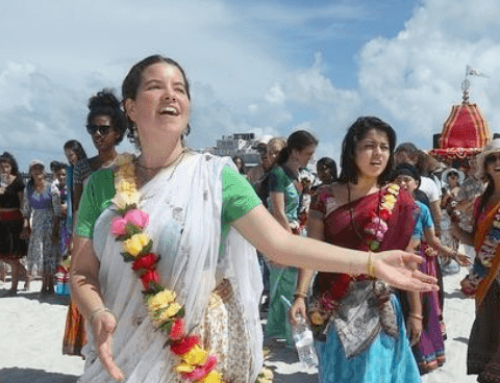 Trivikrama Swami and Bhakti Charu Swami explained basic principles of spirituality, such as our identity as spirit soul and the meaning of Lord Jagannath’s cart procession. 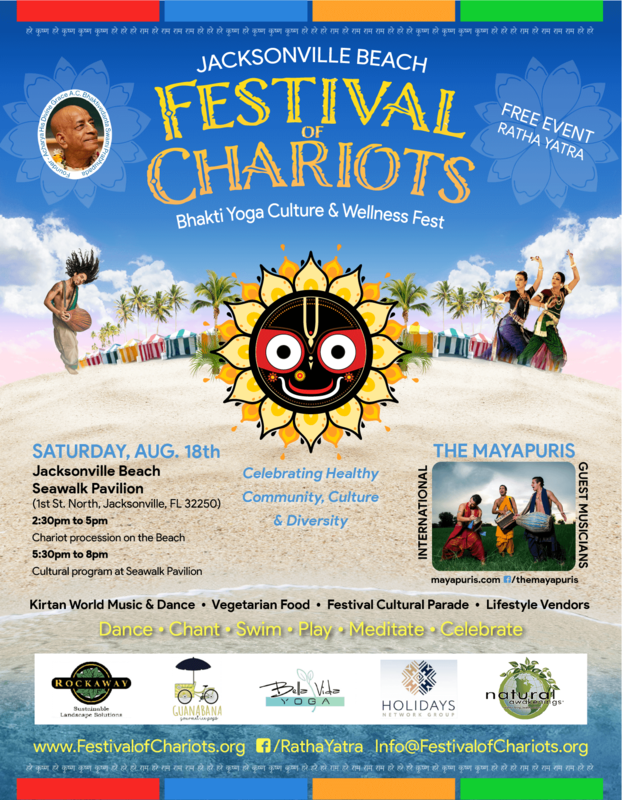 A classical Indian dance (Bharat Natyam) was performed by a young devotee from Orlando, and then a crowd-pleasing chant by Vishvambar and the Mayapuris enlivened the crowd. Vegetarian sanctified food (prasadam) was served to attendees, and a variety of booths displayed aspects of Krishna Consciousness, such as Question and Answers about Vedic Cosmology. 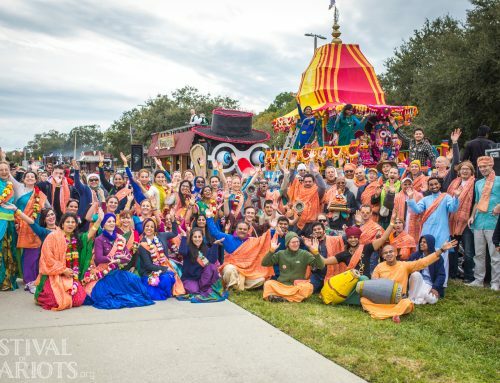 Devotees from the Orlando and Alachua Temples helped to bring this program to the college campus. Many college attendees joined in the chanting and dancing and learned to chant the Hare Krishna mantra on japa beads.